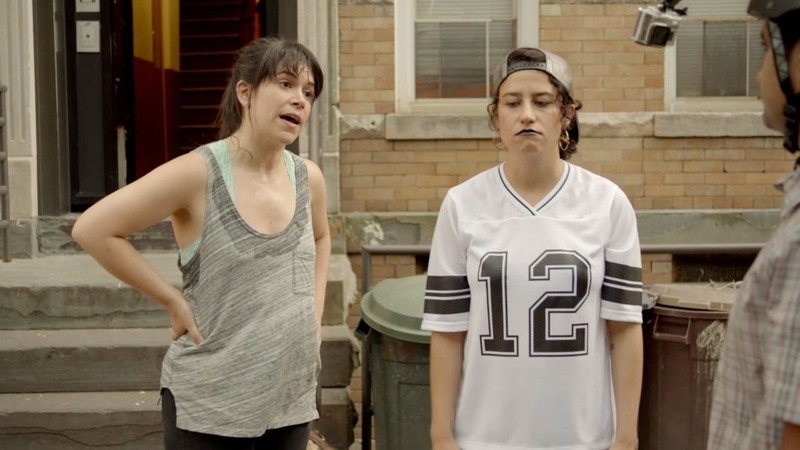 This past month I became hooked on Broad City and have now sadly gotten through all the episodes. The thought of having to wait until 2016 for new ones is making me twitch. What’s great about the show is that the main characters, Abbi and Ilana, feel real. They live in ok-ish apartments, have bad jobs that they hate and spend most of their lives broke–something most just-out-of-university people experience. Broad City is fresh, hilarious and more importantly, encourages female friendships, emphasizing how they should be built out of trust, camaraderie and positivity. An aspect of the show that is especially brilliant is the fashion. Throughout the two seasons we have seen Abbi and Ilana in many different styles: wedding wear, funeral wear, clubbing outfits, etc. What I love about the show’s use of fashion is how the individual styles of both Abbi and Ilana are used to indicate the extreme differences between them in terms of personality. Take Ilana, for example: her outfits are pretty out there a lot of the time, with combinations many people would not dare attempt. Her outfit in the first episode of season two is a great example of this: the metallic snapback, black lipstick, short shorts and oversized football jersey are a combination of clothes that her partner in crime and more demure counter-part Abbi would never wear. Ilana’s hedonistic ways and somewhat kooky personality are accentuated through her clothing choices and the way she emits a kind of bad-girl aura. When dressing up, she often opts for sheer lacy tops and skirts, patterned playsuits and of course a full tuxedo. The tuxedo was a key indication to the audience that Ilana is not fazed by what people may think of her alternative look and that she is a true believer in “if you love it, wear it.” Her hugely flaky attitude is seen in how she hasn’t been in the same outfit in more than one episode, something that Abbi is seen doing. Although specific items such as a khaki crop top are worn more than once, they are always paired with different clothes, making new outfits each time. I feel this expresses how throughout the two seasons she is always behaving recklessly and gets bored with monotony. At the other end of the fashion spectrum sits Abbi. She appears to be more of a normcore girl and is regularly seen in jeans and a tank top with a long cardigan thrown over the top. Her love of one blue dress, which she wears in multiple episodes, shows that she sticks to what she knows, rather than taking risks, an idea that is in keeping with the theme of their friendship. Abbi’s reuse of particular outfits also adds another layer of realness to the show, as the vast majority of us often re-wear outfits. However, this is rarely shown in most TV shows. Her repeated use of her blue party dress is understandable, as she is seen spending a large amount of money on it and therefore would want to show it off at events and parties she goes to. Her heavy use of it is also most likely down to it being the most expensive outfit in her wardrobe – making it her go-to piece when she wants to feel extra special. The dress is also versatile and reliable, allowing her to wear in it a variety of environments throughout the series and making it her go-to piece.Abbi regularly gets dragged (sometimes begrudgingly) into Ilana’s wacky ideas or strange problems but always helps her out. She’s dependable and consistent and that is shown in her style. Abbi’s character comes across as being a bit more introverted than Ilana’s and her less daring outfit choices reflect this, because you are less likely to draw attention to yourself in jeans and a t-shirt than you are in a cold studded bralette and skirt. In the episode “Hashtag F.O.M.O,” when the two characters hop from party to party, Abbi is wearing a black sparkly shift dress and Ilana is wearing a sleeveless palm print playsuit. I feel that these two outfits give a great indication of the differences between the characters and how their personalities shine through their clothing. Abbi once again is wearing a somewhat sophisticated outfit that does not draw much attention to her–something that would appeal to her slightly more introverted personality–whereas Ilana’s outfit is extremely eye-catching and will garner her attention due to the playsuit’s in-your-face pattern. 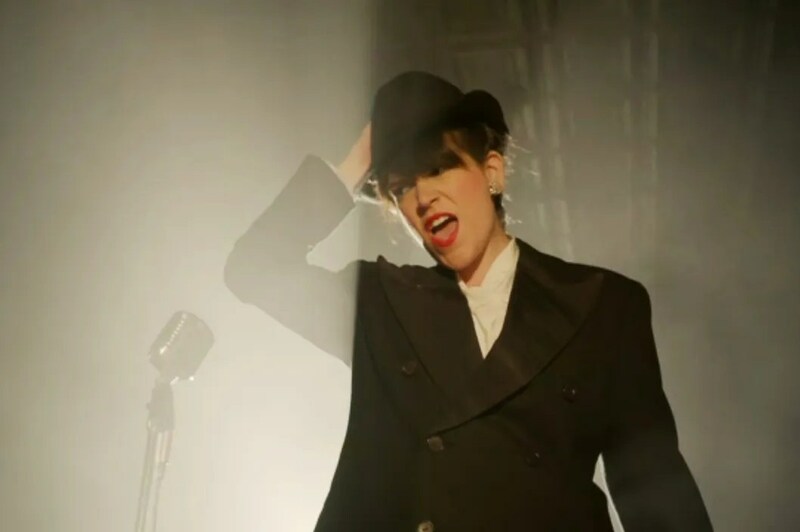 This episode is also particularly interesting as it introduces Abbi’s alter ego, “Val.” This side of Abbi wears sharply tailored suits, bold plum lipstick and sings cabaret. The idea that comes with this other side to her is that on the inside she wants to wear more outlandish clothes, but when it comes down to it sticks to what she knows and feels safe and comfortable in. When Val emerges, we as the audience get to see Abbi’s theatrical inner-self, which is usually kept hidden. Abbi’s more reserved nature complements Ilana’s loudness and brashness perfectly. Ilana allows Abbi to lead a less predictable life and Abbi reins Ilana in and stops her doing totally stupid things all the time. The fact that their different personalities mesh together so well, rather than clashing, makes the show that much more exciting and watchable. It will be interesting to see next season’s fashion and how it changes to fit the characters’ progression. 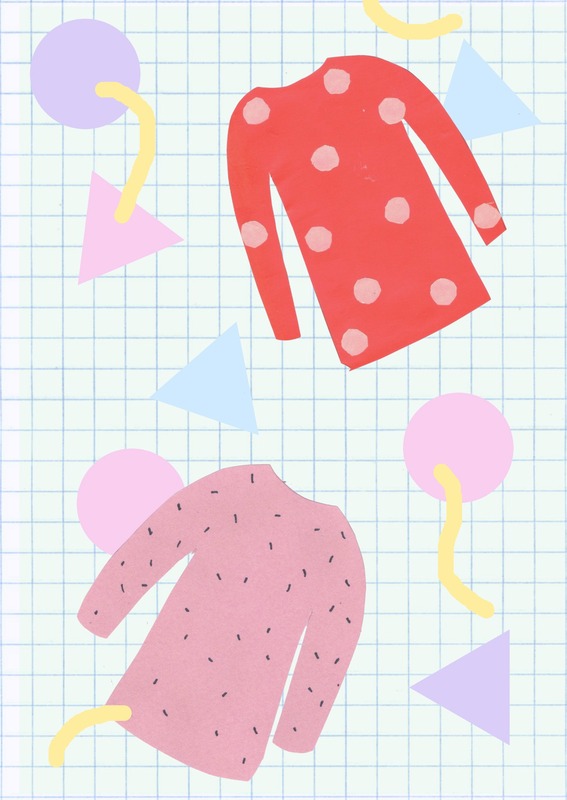 Megan Gibb is a university student meandering through life collecting vinyls and watching too much TV. You can find her on twitter here and her blog here.